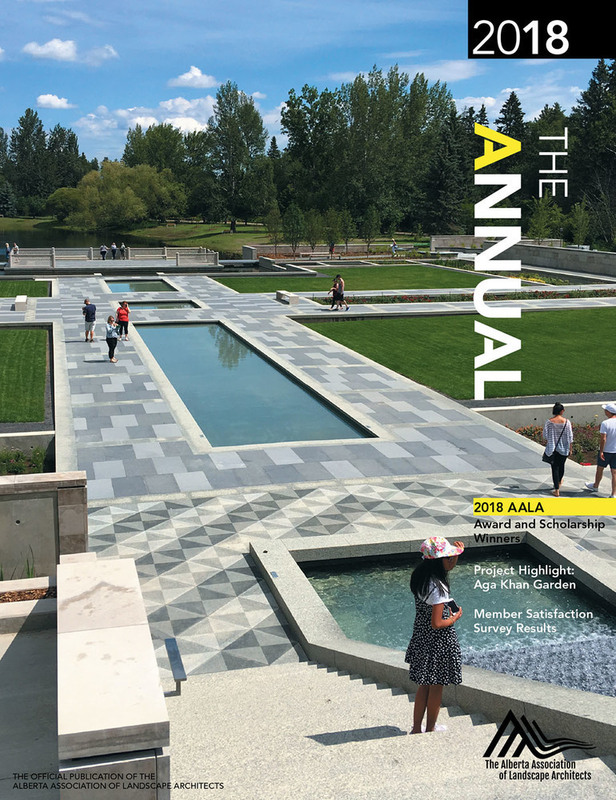 The AALA is recognized as the voice of landscape architecture in Alberta, advocating for the safety, health and wellness of its people, places, and environments. The AALA regulates the use of the title of Landscape Architect in Alberta. The AALA advocates the value and role of landscape architects and landscape architectural technologists through education and promotion. The AALA provides networking, social and educational opportunities to the benefit of all members. The Alberta Association of Landscape Architects was registered with the Province of Alberta in 1970, after several years of lobbying and pursuit. The very first executive board included Hugh Knowles, Randy Mitchell, Ren Settle, John Burrows, Don Sigsby and Pat Butler. At the inception of the association, Pat Butler became the first registered member of the AALA. Pat is still an active full member under “Certificate # 1” and continues to be an advocate for the profession in Alberta. The climate for landscape architects in Alberta in the seventies was ripe for change. Landscape architecture in the United States and Eastern Canada were well established and well known, but little was known about the profession in Alberta. The original group decided it was time to educate other professions and government groups about landscape architecture- starting an association was deemed the first important step. 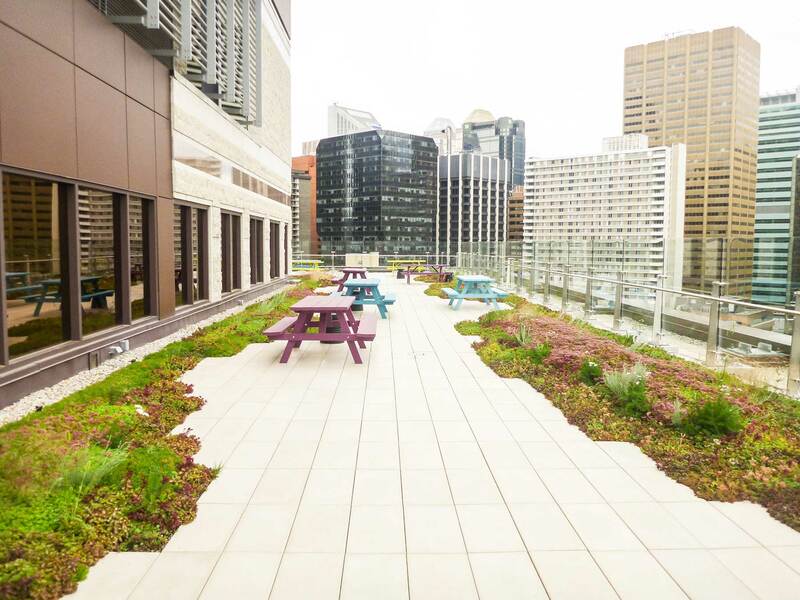 After the establishment of the association, successive executive boards worked hard promoting landscape architecture and pursuing regulated status with the Province of Alberta. The investment these individuals made into our profession has paid off greatly. With the achievement of regulated status in 2010, the Alberta Association of Landscape Architects now boasts over 190 registered landscape architect members, 60 associate members, 60 LAT members and 30 student members. We are so grateful to those members who have devoted their time to developing our profession in Alberta. Thank you very much, from the AALA! Shaw Court is designed to create a welcoming public space with opportunities for large group gathering, as well as rest areas for individuals.